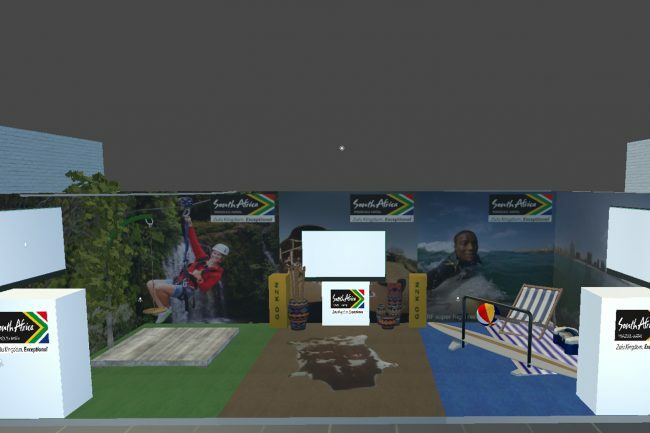 We were recently commissioned by Splendid Marketing to create a virtual reality stand and activation for KZN Tourism. We had to create physical props to enhance the experience of clients that got immersed into the KZN Tourism Virtual Reality 360° videos. We created the proposed stand in a Virtual Reality environment to create a visual reference for the client to show them exactly how the stand would look like before we started designing the physical exhibition stand. Below you can see some images of the exhibition stand designed in virtual reality and on the bottom right hand side you can see what the stand looked like in reality! 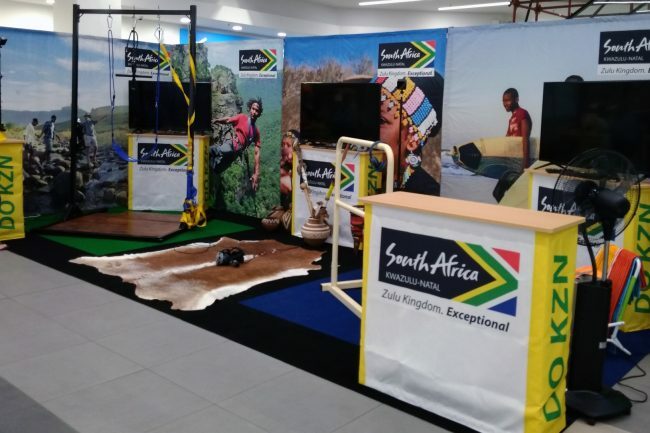 If you want to see more images of the KwaZulu Natal virtual reality activation in Bloemfontein South Africa. 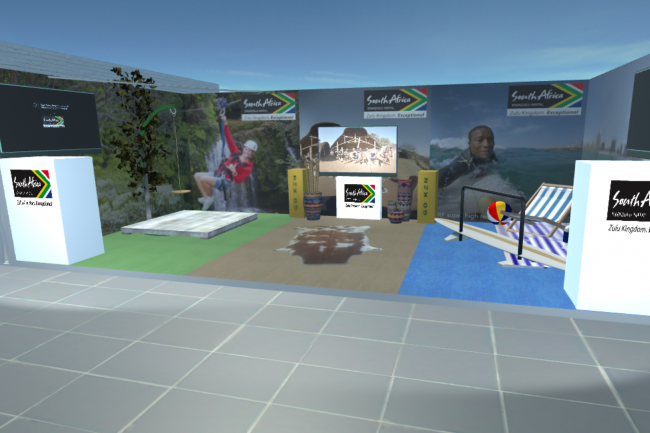 Please visit our KwaZulu Natal Virtual Reality Activation Images page.